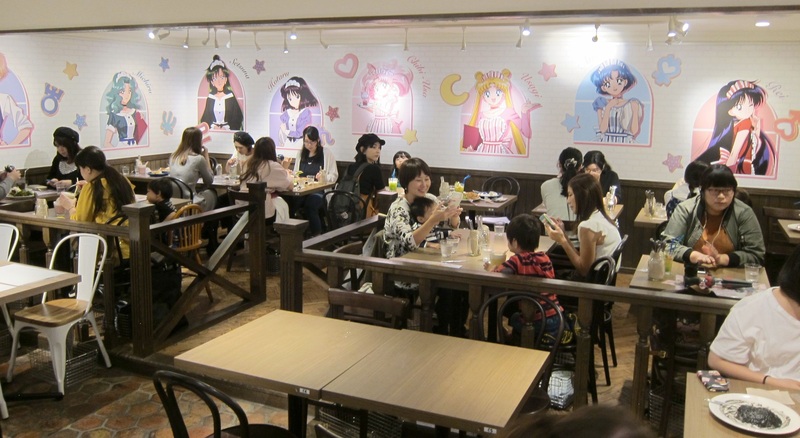 The new opening of the Sailor Moon Theme Cafe has already been yearningly awaited by all Sailor Moon fans. The cafe opened in the four cities Tokyo, Nagoya, Osaka and Fukuoka from the end of September to the beginning of December (Depending on the Cafe). I´ve visited the cafe in Tokyo which is in the neighborhood of Harajuku, just 3 minutes away from the cat street. The entrance has just a small sign and is not that easy to find. The cafe itself is in the underground. You can make a reservation in advance online (which is recommended) otherwise you have to wait very long. 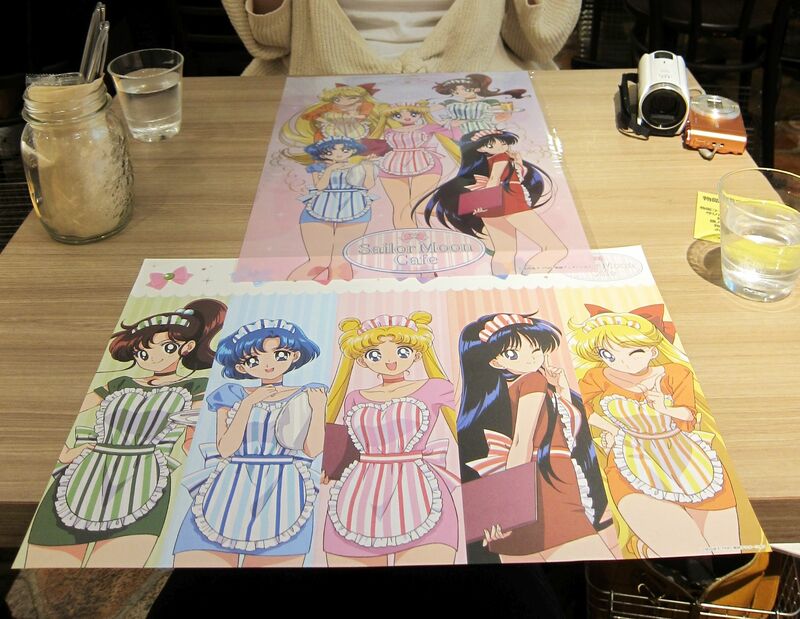 Also if you make a reservation online you will get as an extra a special Sailor Moon Cafe design poster and also a place mat of Sailor Moon. The entrance fee for the cafe is 702 Yen which you can also pay in advance. After the staff checked your reservation in front of the cafe, you already have to order your drinks & food. The cafe offers something for everybody. 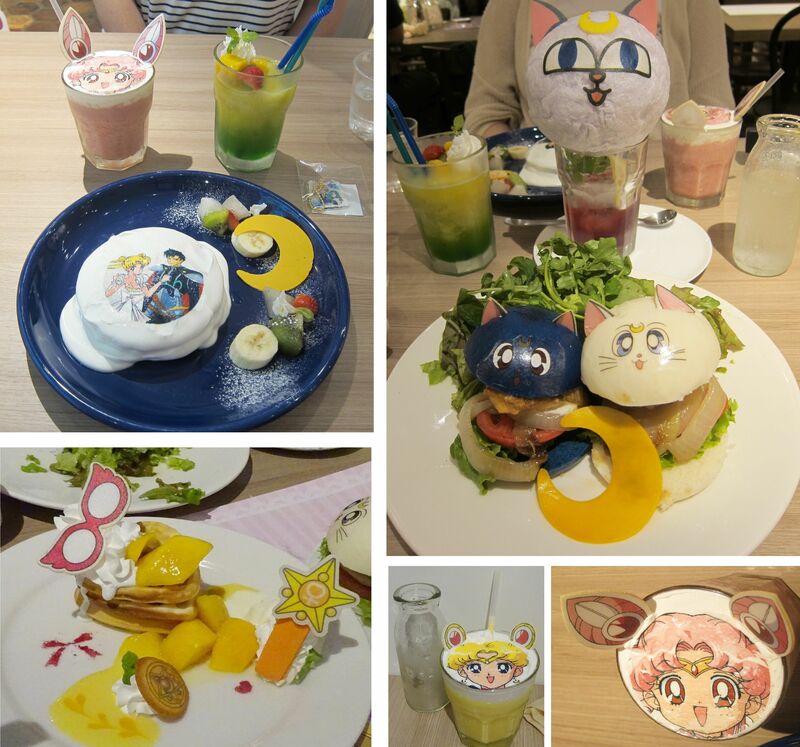 They have burger in the design of the cats (Luna & Artemis) of Sailor Moon or very nice desserts like pancakes with the picture of the princess and Endymion. 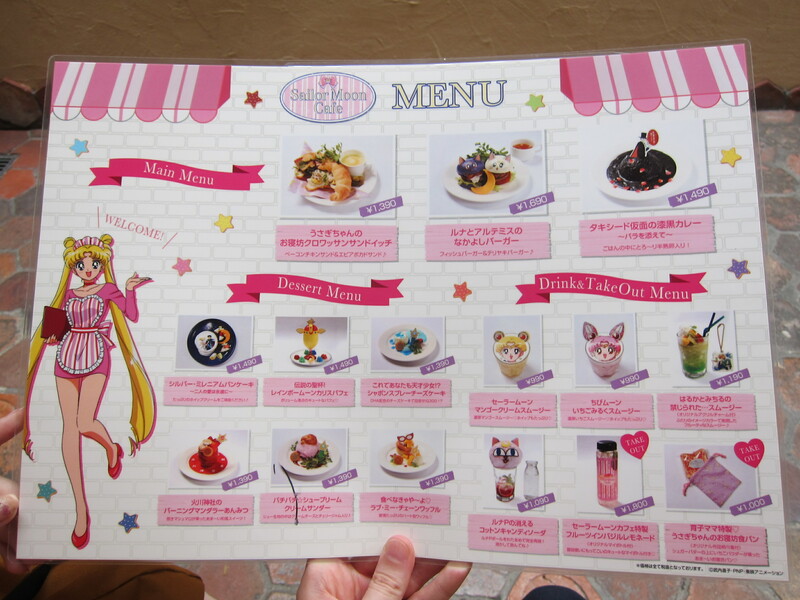 Also you can choose between some nice drinks with the face of Sailor Moon or the great Luna P cotton candy drink. When you go inside the cafe you will be greeted by the Sailor Team who is on a huge poster just at the entrance. All walls in the cafe are decorated with different Sailor Warrior and there is also a corner where you can find all together. It is a perfect spot for taking some photos together. 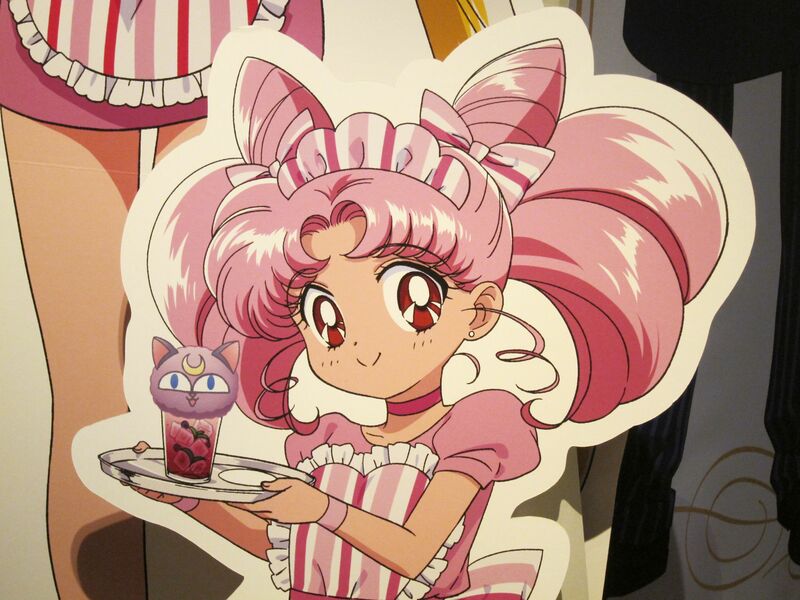 You will really feel like in a small Sailor Moon paradise! As soon you are inside the cafe they will serve your food. 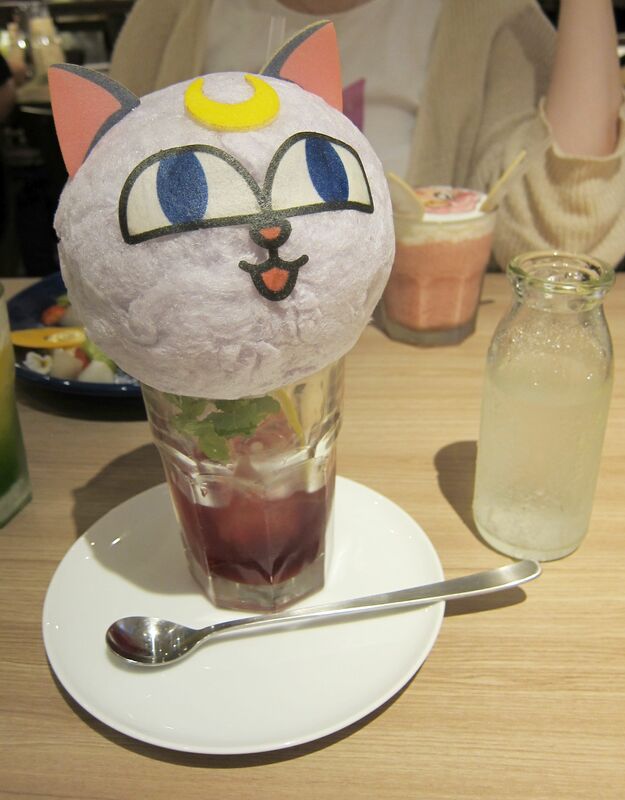 I´ve tried the burgers with cat faces, the cotton candy juice and another green yellow drink. Each of the burgers had a different topping (fish and meatball) which came with a big bunch of salad. The potions of the burger/sandwich and also for the desserts were big enough to fill your stomach. But the highlight for me was the huge cotton candy drink which looked so cute that I wished to bring it back home. Unfortunately you have to pour water over the cotton candy which will destroy the cute Luna P face, otherwise you can´t drink the deliciousberry juice. There is a time limit of 80 minutes for staying in the cafe, which is totally enough to enjoy everything the cafe has to offer. 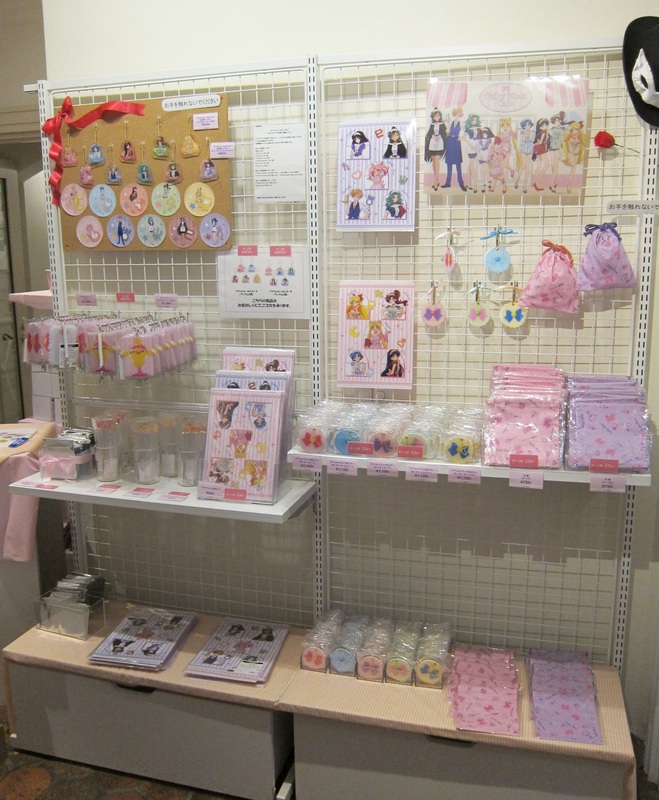 At the entrance of the cafe is a small merchandise corner, where you can buy special Sailor Moon goods in the design of the cafe which are limited and you can buy only there. Unfortunatelymany products were already sold out. Please note that you can´t go there for buying only merchandise, you need to have at least a drink in the cafe. 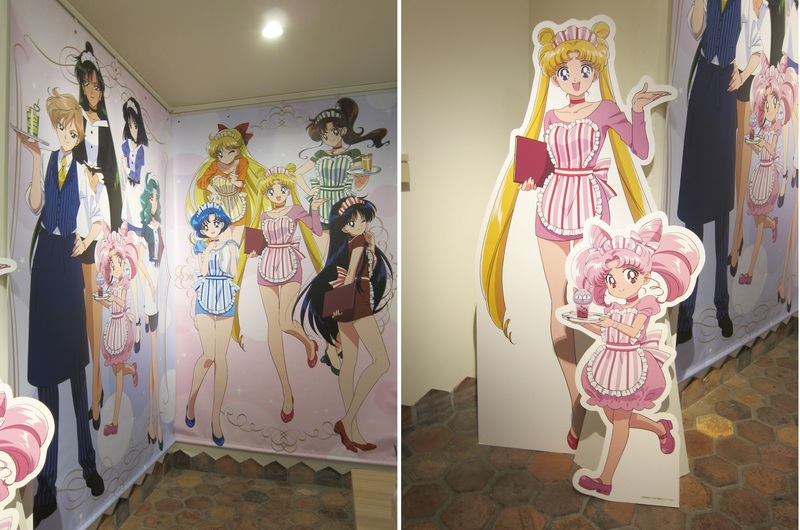 If you are a big Sailor Moon Fan don´t miss the chance to visit the cafe in Tokyo, Osaka, Nagoya or Fukuoka!